Welcome to Day #18 of Chocolate and Africa Theme Weeks. 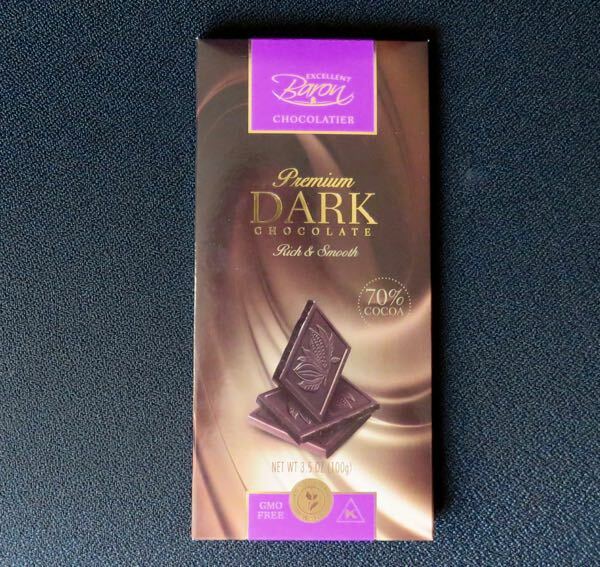 Today's 70% Premium Dark Chocolate bar from Baron Chocolatier* had smooth, deep dark chocolate flavor with very subtle hints of fudge brownie with walnuts, flourless dark chocolate cake, earth, nuts, and slight acidity in aftertaste. 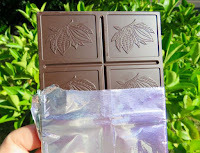 The country of origin was not explicitly identified on the packaging for this bar; however, the company has indicated they use cacao grown in West Africa (Ivory Coast) for their chocolate in the past. Chances are if you've eaten a dark chocolate bar, and there was no origin listed, you probably were sampling a bar made at least in part with African cacao. Ivory Coast and Ghana (each with a coast that borders on the Atlantic Ocean) together supply almost half the world's cacao. And so we end our virtual chocolate tour we've made in the past few weeks, moving from east to west across this vast continent, in this high production zone. 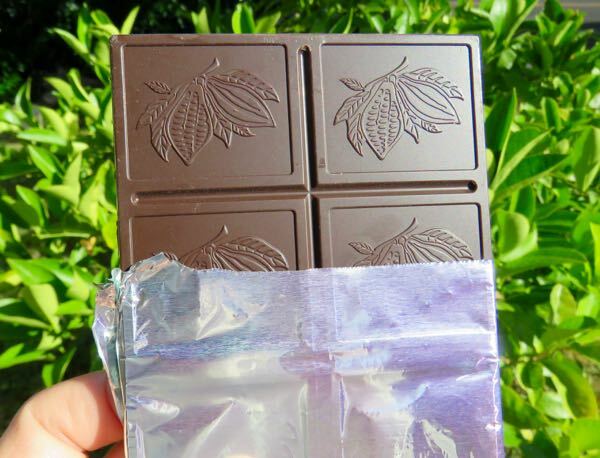 Starting tomorrow, we'll explore the world of dark chocolate bars made with blends of cacao. *Baron Chocolatier, a division of the Milano Group, was founded in Poland in 1982. This bar was a "Product of Poland."